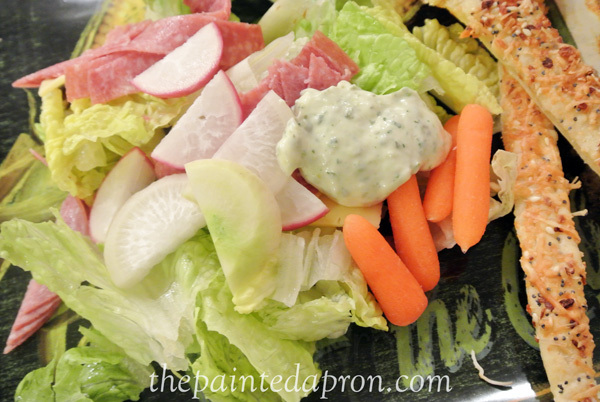 We were having Chef’s salad for dinner and I am pretty sure some clever chef somewhere, long ago, came up with this title because it sounds a lot better then “Clean Out the Refrigerator Salad,” which is what it basically is! 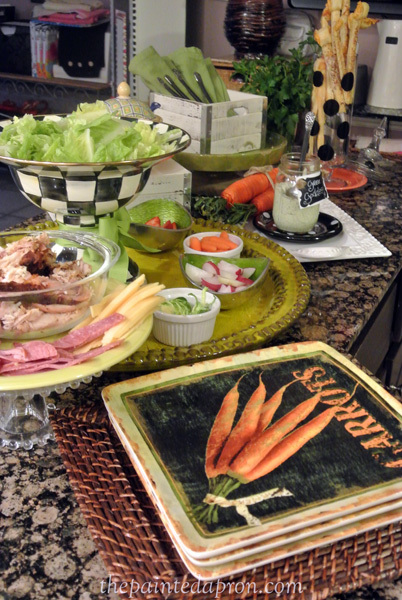 To jazz things up a bit, I decided to set it up salad bar style, and let everyone make their own. 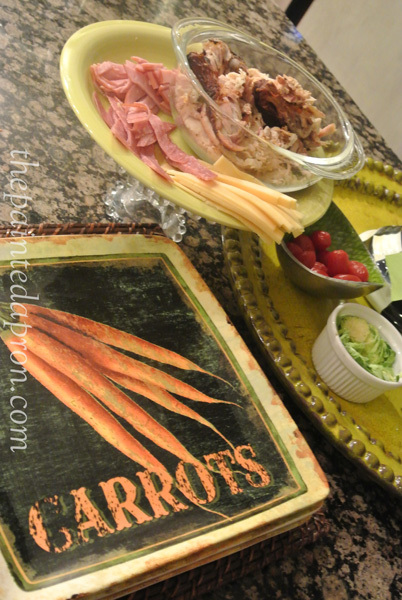 We are all thinking Spring of course and Green, and what says Easter better than some fat orange carrots? These are the Wacky Weeds growing in my Salad Bar, I was hoping for flowers, but they turned into weeds~ the story of my gardening life!! far away from the everyday hum drum! Oh, everything looks like I could just reach into the screen and pick it up…yummy! Beautiful presentation, Jenna. 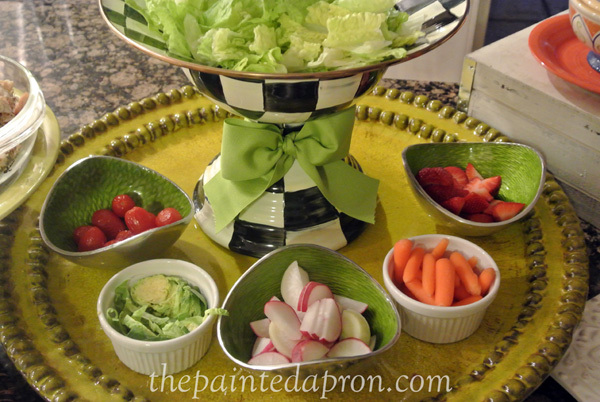 Love the salad bowl! Thanks for stopping by Marigene! 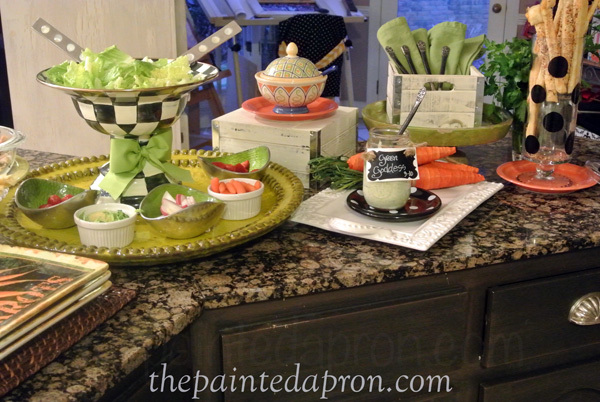 Wow, this gorgeous salad buffet would entice even picky eaters to go for a salad! 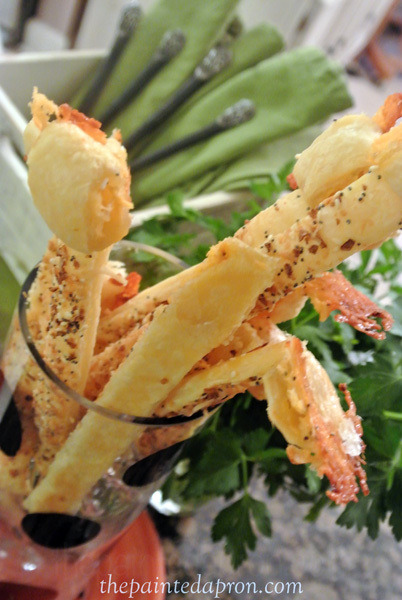 The bread sticks look wonderful to me — the perfect bite along with the salad. WOW! What a great idea and fun too! Thanks for sharing! I would love to come to dinner for your special salad buffet. It looks so inviting! Such a good looking salad bar. 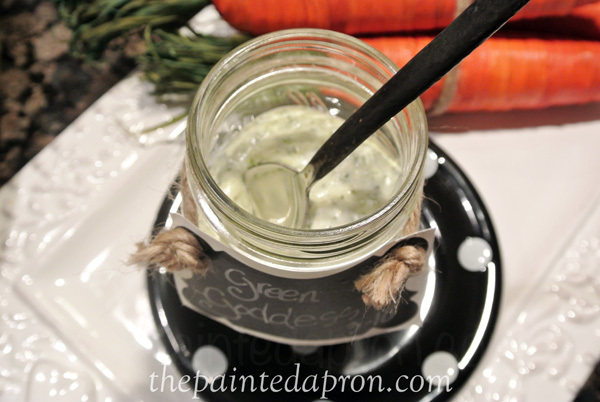 I LOVE that salad bowl compote…just gorgeous! Thanks so much Mona! The compote was a Christmas gift from my husband, I love it! Oh my goodness, Jenna …this is all just delightfully delicious looking! Yummo! 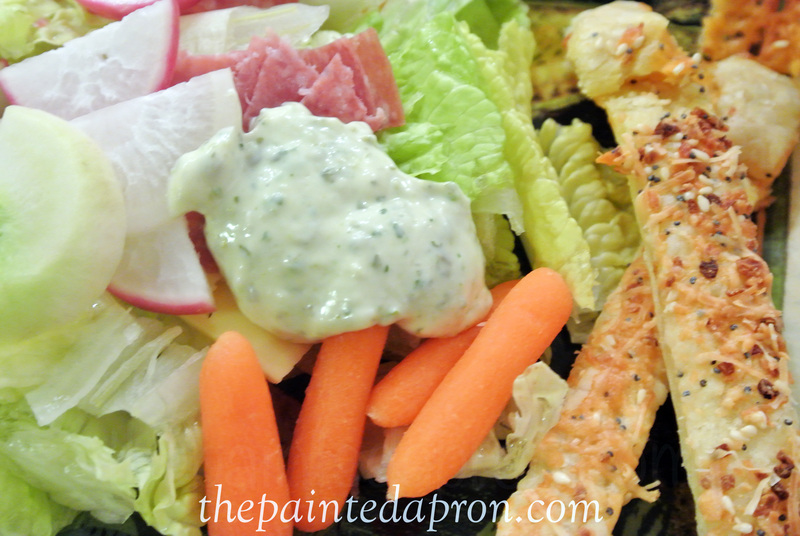 I adore it when someone else does all the prep work so I can just combine things that I want in my salad. So fun! This would be a PERFECT set up for my tennis group’s end-of-the-year luncheon. 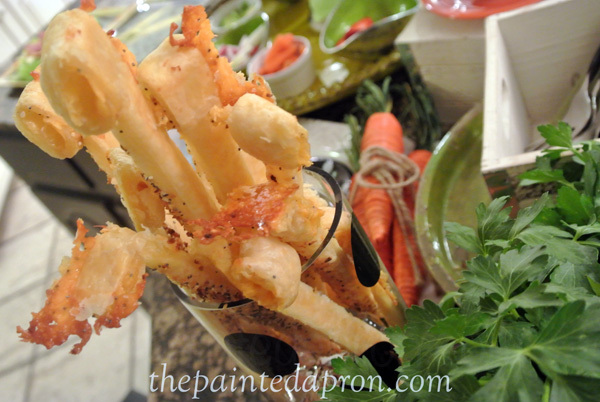 Those cheesy, crunchy, seasoned puff pastry sticks make me want to reach out & grab one right this minute. 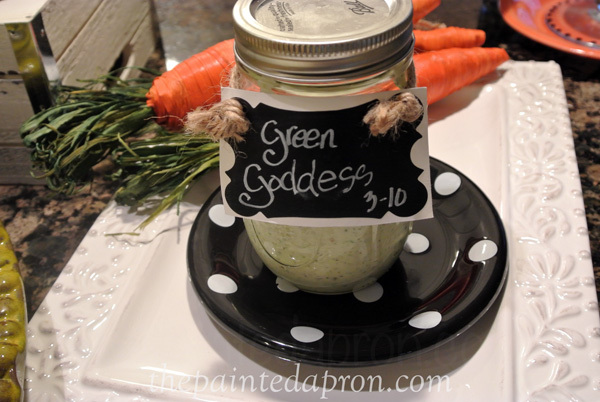 Thanks for showing us how you set this all up, with the various levels & such cute labels for the dressing, too. Very stylish!! thanks Rett, so nice of you! this would be great for a tennis group! 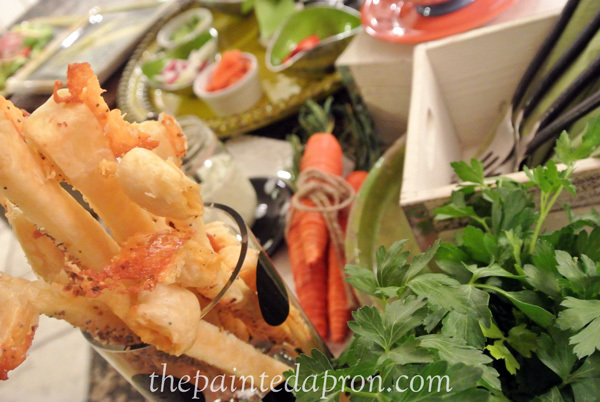 Love the lush displays of food…just beautiful. 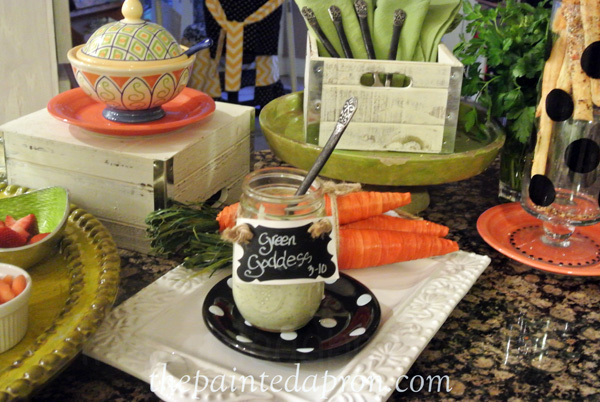 What a great salad bar….You made it look so elegant and yummy! 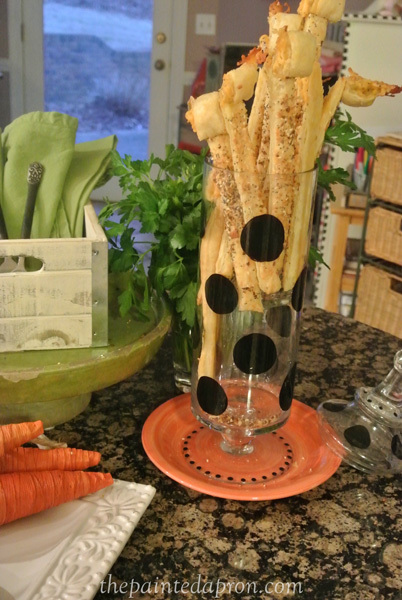 I like the idea of putting the salad fixings out like this. Very pretty, and everyone can pick and choose to their own liking. Great idea for taking stress out of it! That compote with the lettuce in it is magnificent!!! Oh this, makes me so, so glad I’ve decided to made a big-ole-salad for dinner tonight as I’m drooling over yours. Of course, mine won’t be near as awesomely displayed. . .dang.